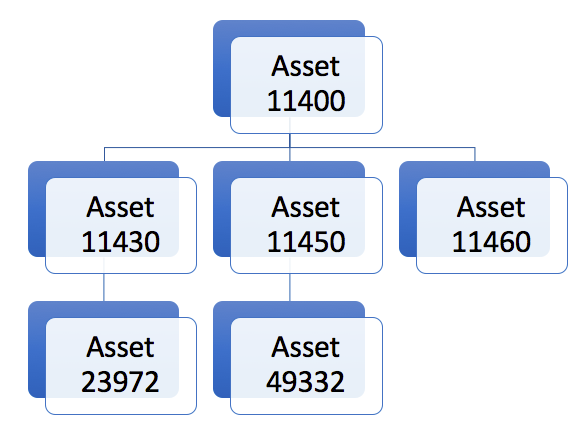 In todays article I would like to explain how easy it is to navigate in Asset Hierarchies with method provided in the businessobject.jar file. Basically you can code all the shown stuff by using the basics you already learned about Mao’s, MboSet’s and Relationships, but why not take some easy predefined functions to do so. For our example I will take a simple Asset Hierarchy which comes from the Maximo demo data set. print tab + "Asset " + asset.getString("ASSETNUM") + " has childrends:"
# GetChildren uses Relationship "ASSETCHILDREN"
print "Asset ", assetNum, " is the top asset in the hierarchy." assetSet = asset.getParents() Gets a Mbo Set of all Parent asset objects based on the "PARENT" relationship. myMbo = asset.getMyParent() Returns the Mbo of the owner Object. In our sample, a simple hierarchy, it will provide the same Mbo like the getParents() method. 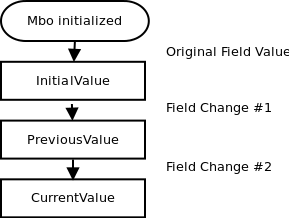 But the owner Mbo is more generic and could be for example a Workorder, if you navigate from a Workorder Object to an asset related to a Workorder. 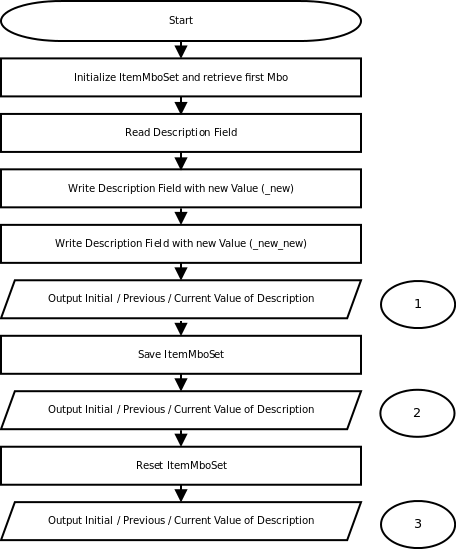 topAsset = asset.getRootParent() Gets the root Mbo of the asset hierarchy. In this blog I would like to provide you an overview of the terms and capabilities used in context of Maximo automation scripting. 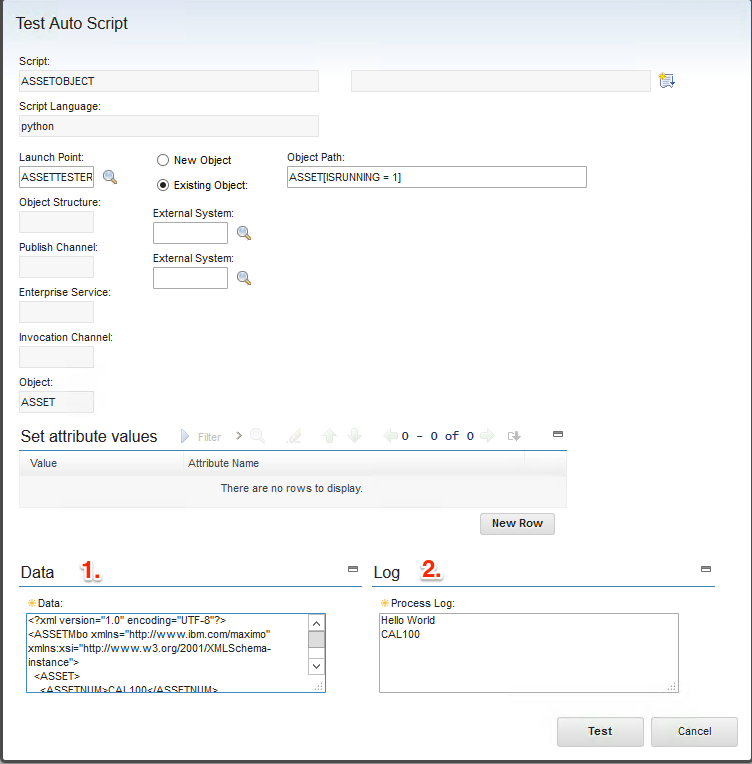 With the Automation Scripts application, you can create scripts to automate tasks based on the events or attributes of a business object, or based on actions or custom conditions. 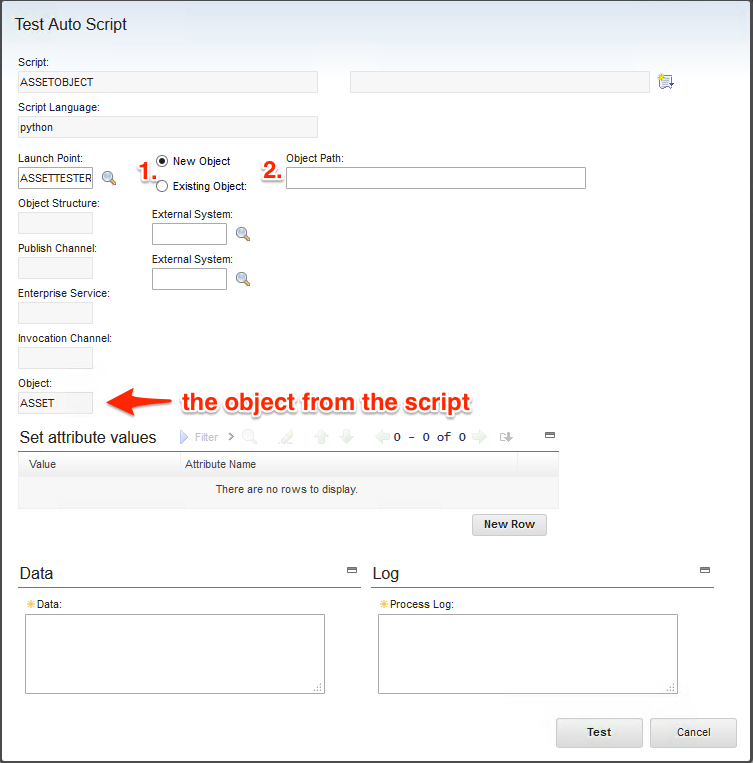 Automation Script: The automation script is a definition in the Maximo Database which defines the name, a description and some more attributes for a specific automation script. The Source code of the script is an important part of this definition. Launch point: A launch point defines the context and the trigger for an automation script. A launch point has a name and a description. An automation script can have multiple launch points defined as a trigger. On the opposite side an automation script can be triggered in different ways without a specific launch point. Read this blog for the possible ways to trigger a script. Variables and binding Values: Specific variables are automatically (implicit) passed to and from the Maximo scripting framework to your automation script. In addition you can defined more user defined variables to be passed. Read this blog for details on implicit variables. 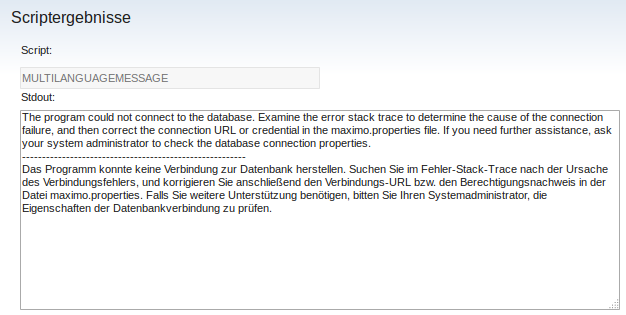 In this Blog I would like to introduce the often used UserInfo Object in Maximo / ICD Scripting. There are a number of API method calls which require a UserInfo object as a parameter and therefore you need to know how you can get a reference to that object. In the second part of this Blog I will show you some method calls on utilizing the UserInfo yourself. When you run a Jython script there are several ways to get the UserInfo object. Beside the fact that a lot of method calls of Maximo/ICD API’s require a valid UserInfo object it has a number of interesting Getter and Setter functions which might help in your script. I would like to show you only a small subset of these methods here in this Blog. A full list can be found in the JavaDoc documentation. print "Setting Language code to EN"
The script basically will get the UserInfo Object for the System User and after that will print out a couple of information. To avoid Null Pointers I have convert all outputs to a String value. At the end it will change the current Language for the user to a different value. The Timezone value is not a string, but another object of type sun.util.calendar.ZoneInfo. If you need that information you should access the value with the methods from the ZoneInfo object. I implemented a condition “userinfo.isInteractive()”. Interactive normally means, that a script runs based on an end user GUI Action, while “not interactive” means that the script runs from an escalation or automatic workflow. If we run the script manually from the Automation Script application the isInteractive() method returns false. Your first question could be in this context: “Why should I read translations from the message system? Messages for Message boxes are always displayed in the correct user language!”. This is correct, but let’s assume the case that you would like to fill in a String field in a MBO Record with a text string which should be in the correct language of the user who is using the system. 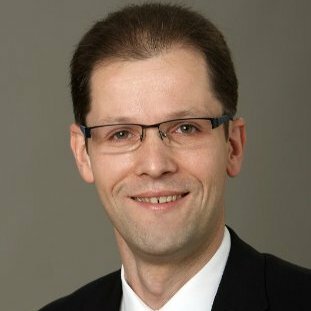 In that case we are not using the message system of Maximo in it’s original form, but more as a translation vehicle which we can ask: “I have a user with German language settings here. Please provide me the the defined translation for message <msggroup> <msgkey>.”. This is cool.